Today we return to the early 1960s correspondence between San Francisco radio newsman Fred Goerner and Leo Bellarts, the chief radioman aboard the U.S. Coast Guard Cutter Itasca on July 2, 1937, who retired from the Coast Guard as a lieutenant in 1946. My Feb. 6 post, “Revisiting roots of the real search for Amelia,” began with Bellarts’ November 1961 letter to Goerner, in which the nearly incredulous Bellarts asked, “why you believe Earhart wound up on Saipan”? Bellarts’ certainly that Amelia Earhart and Fred Noonan rested “peacefully on the bottom of the sea, no farther than 100 miles from Howland,” was based entirely on the increase in Earhart’s signal strength in her last transmission. “She was so loud that I ran up to the bridge expecting to see her coming in for a landing,” Bellarts told Elgen Long in a 1973 interview. In his reply, Goerner brought Bellarts up to date on his findings during to Saipan visits, including “three file cabinets filled with the most painstaking research concerning every aspect of the disappearance [that] has given us very strong reasons to believe Earhart and Noonan were on Saipan for an indefinite period prior to the war.” The KCBS newsman also posed several new questions for Bellarts, many about the Electra’s radio transmission capabilities, as well as those of Itasca and the high-frequency direction finder supposedly set up on Howland Island. Bellarts’ response follows. Your letter of November 30th arrived December 13th, and I wish to thank you for your reply to my letter. I also wish to thank you for the additional papers you forwarded with your letter. They were very interesting. First, I will attempt to answer your questions. I have kept a scrapbook on the Earhart case and it contains much information. Therefore, I will not have to rely on a memory of twenty-odd years. Your letter and enclosures will be an interesting addition to my scrapbook. At this point I wish to state that we were using a CGR-32-1 type receiver on Earhart’s frequency and by present day standards is a poor receiver. I am sure that if present day receivers were then available, we could have read her signals very much better and at an earlier hour. As to the time and content of all messages changed in the July 5th messages from the contents of the July 2nd messages bewilders me. This point I was completely unaware of. It appears that there was a bit of the “Press Reports” incorporated somewhere along the line. You may check the authentic receptions from the plane and draw your own conclusions. In regard to the “30 minutes of gas remaining,” this will be answered in the listing of messages from the plane in the summation of her last messages. The people stating that the Earhart radio was not functioning properly make such statements on pure guess work. Amelia never stated that our signals were too weak for a minimum, BUT “We received your signals but unable to get a minimum; please take bearing on us,” etc. No mention was made of weak signals or the reason she could not obtain a bearing: Too great a signal, too weak a signal, fading, night effect (which there were none), and other causes. As far as we knew on the ITASCA, Earhart encountered no equipment failure — at least she reported none. Actually, in this case, I believe that our signals were too strong. Earhart was not alerted to the fact a special D/F had been set up aboard the ITASCA because there was none! No D/F was aboard during her flight that would cover her frequency of 3105 or 6210 KCS. The only D/F was a standard low frequency finder capable of taking bearings of broadcast stations and frequencies below 500 KCS. There was, however, a high frequency D/F installed on Howland Island for the express purpose of taking bearings on Earhart. This equipment was set up and in operation during her flight, completely aligned and in position. This equipment was NOT ship’s property but was borrowed in Honolulu through the efforts of the C.G. District Radio Electrician, Mr. Anthony. I believe this D/F was actually Navy property. 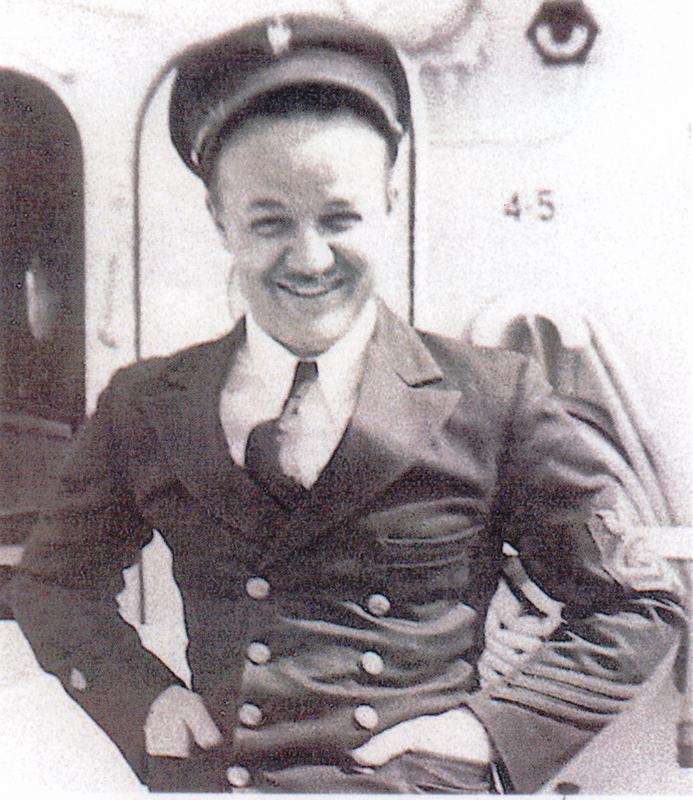 Lt. Cooper of the U.S. Army Air Force was aboard the ITASCA for two reasons that I know of. Mr. Cooper was assigned the duty of surveying the airfield and placing the required markers, flags, etc. He was also available for any technical assistance that Earhart might require after landing on Howland. Memory tells me he had two enlisted assistants. Actually, the USS SWAN and USS ONTARIO were assigned as weather ships. The ITASCA never worked either ship and I must rely on my memory for that information because, as you say, there is nothing in the log regarding the ONTARIO. As for the reason the ONTARIO didn’t hear Earhart, it was very simple. The receivers aboard that ship could not receive on her frequency. The ONTARIO and the SWAN were small tugs and were one radioman ships, maintaining only schedules for weather through Navy radio Samoa or Honolulu. I was not familiar with their schedules. The equipment aboard the ONTARIO was low frequency rigs and could not operate on anything above 500 KCS for transmitting and could not receive above 3000 KCS. The SWAN was somewhat out of the picture, being stationed between Howland and Honolulu. “Strength of Signal” certainly strengthened my conviction, and that of others who heard her last transmission, that she was very close to Howland Island. I started my radio career in the USCG in 1924, and believe that I can distinguish when a 50-watt transmitter is close aboard or not. Honestly, we in the radio room could actually hear her voice so near the breaking point that at any moment I expected her to go into an hysterical scream. Giving her plenty of leeway, she must have been within 200 miles when she crashed. Actually, I believe it was much less. The 157-337 message regarding a position of the Earhart plane was taken as a sunline position, of course not complete. Actually, I believe that she became so upset that she failed to send the entire message which would have given the ITASCA something to go on in the search. As a result, we could only assume that she crashed somewhere before arriving at Howland. She certainly did not pass overhead at 1000 feet without seeing the large smokescreen the ITASCA was laying. I have a photo of that which also shows cloud formations. I have no idea as to the assumptions of the LEXINGTON as to what Earhart’s speed was. As to the laying out of a search plan, I am sure that this was done as well as could be expected with the scarcity of information at hand. 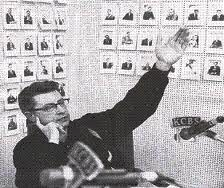 Yes, I know Bill Galten but I’m afraid there is a misunderstanding as to his rate at the time of the Earhart search. Galten was a very good and reliable radioman THIRD CLASS. Galten actually relieved me for breakfast that fateful morning. He also maintained the radio log from 0718 to 1035 when I assumed radio log and actual watch. 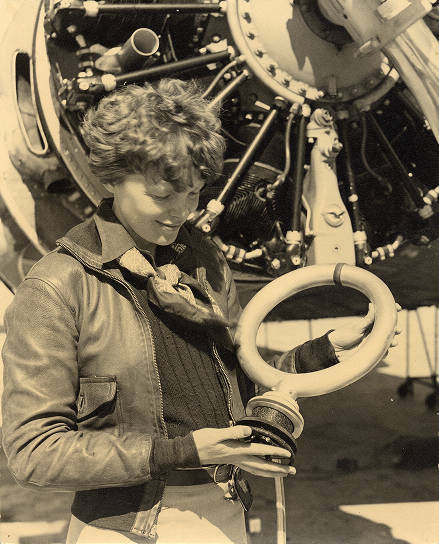 From the first time we heard Earhart, to the last time at 0843, I don’t believe that I was out of the radio room more than 15 minutes, having heard all of her transmissions. I don’t believe that I have seen Galten for over 20 years. However, I believe that he is now a Retired Chief Radioman. Now, if I may, I would like to make a few comments on portions of your letter and also the enclosure which I appreciate receiving. On the main matter for conjecture, as you say, “How did Earhart and Noonan reach Saipan?” To me, there is only one answer, if there is an answer. They may have reached Saipan but certainly NOT on the Electra she flew from Lae. The only possibility as far as I’m concerned is that they crashed very close to Howland Island and were fortunate (?) enough to land near a Japanese fishing boat or other Jap vessel which was in that vicinity. In quoting Time magazine of July 19, 1937, I would like to quote from an article regarding Earhart. “Several facts made it clear that much more than simple bad luck was involved. Before the hop off, when capable Navigator [sic] Noonan inspected what he supposed was an ultra-modem “flying laboratory,” he was dismayed to discover that there was nothing with which to take celestial bearings except an ordinary ship sextant. He remedied that by borrowing a modem bubble octant designed especially for airplane navigation. For estimating wind drift over the sea, he obtained two dozen aluminum powder bombs. For some reason, these bombs were left behind in a storehouse. The Coast Guard Cutter ITASCA, which had-been dispatched from San Diego to Howland Island solely as a help to the flyers, would have been able to take directional bearings on the Earhart plane if the latter could have tuned its signals to a 500 KC frequency. The plane’s transmitter would have been able to send such signals if it had a trailing antenna. Miss Earhart considered all this too much bother; no trailing antenna was taken along.” The ITASCA was entirely unaware of this and, as a result, did not know that she was unable to transmit on 500 KCS. To add a little sidelight to the search, were you aware that the U.S. Battleship COLORADO served as an oil barge for the USCG cutter ITASCA? 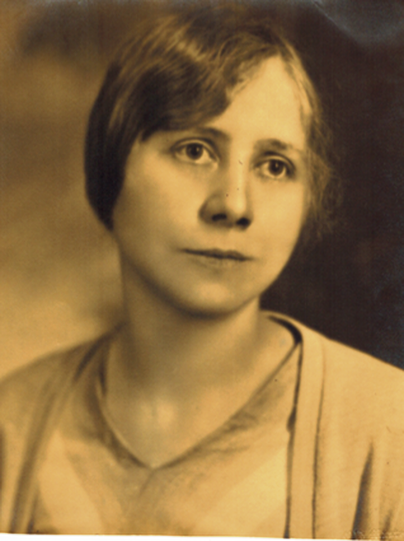 Undated photo of Clara Studer, who edited The Ninety-Niner newsletter in the early 1930s, and in 1937 wrote Sky Storming Yankee: The Life of Glenn Curtiss. Now that I have answered your questions to the best of my ability, may I ask just what connection has Mrs. with CBS, and also the connection, if there be one, between CBS and Mr. Putnam? If Miss Earhart’s name was to be cleared of the spy charge, wouldn’t it be a logical conclusion that an intense investigation be made just how Earhart and Noonan arrived at Saipan (if they did)? My conclusion remains the same; that is, the Electra and its passengers are on the bottom of the sea west of Howland Island, yet very near the island. In closing, I would like to add that you are quite the “Quiz Master.” However, if there is any doubt in your mind, I see no reason why you should be otherwise. In addition, the enclosure “Facts about the Final Flight” contains several remarks that I would disagree with, but I have never doubted that she crashed very close to Howland Island. I hope that I have cleared up some points regarding this case. If I can be of any further assistance, don’t hesitate to “start quizzing.” THE INFORMATION THAT I HAVE GIVEN YOU IS FOR YOUR INFORMATION ONLY AND I DO NOT WISH ANY PUBLICITY ON MY PART. Breaking News! Nauticos ends Earhart ocean search: No Electra found! As always, no hyperbolic headlines screamed for attention as another ocean-floor boondoggle came up empty, nor could the news of this crushing development be found anywhere else in our vast Internet media. Under the headings “Mission Conclusion” and the grammatically challenged “Nauticos Crew Head Home, Makes Plans,” Jourdan wrote, “As you may have gathered, I cannot announce that we found the Electra.” Who could have imagined! We covered 725 square nautical miles this expedition, a record for Nauticos. Our tally in three expeditions is nearly 2,000 square nautical miles, and with the coverage by the Waitt Foundation in 2009 we’ve mapped an area the size of Connecticut at 1 meter resolution or better. This is one of the largest contiguous areas of the deep ocean mapped in history. So now, thanks to Nauticos, anyone interested in touring the ocean floor near Howland Island should have a far-more detailed map to keep them from getting lost as they negotiate the “seamounts, calderas, and volcanic cones never seen before” in this area of the central Pacific. It’s encouraging to know that someone is concerned about resolving this pressing need! 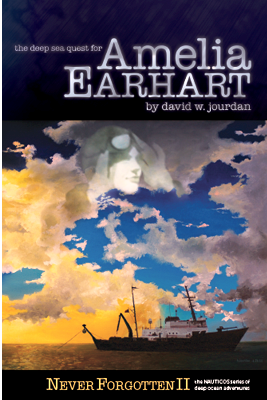 David W. Jourdan’s The Deep Sea Quest for Amelia Earhart (Never Forgotten Book II), published by Ocellus in 2010, claims “there is no primary source to narrow speculation on [Earhart and Noonan’s] fate.” Really? Readers of this blog will be forgiven if they’re unaware that Jourdan actually wrote a book on his Earhart search, The Deep Sea Quest for Amelia Earhart (Never Forgotten Book II), yet another misnamed and thoroughly forgettable tome, published in 2010 and obviously read only by the most clueless and incorrigible crashed-and-sank enthusiasts. “No primary source”? Yes, you read that correctly. I suppose that would depend on how one defines “primary source,” wouldn’t it? Jourdan, along with the indefatigable crashed-and-sanker Elgen M. Long, who was also aboard Mermaid Vigilance, is among the most visible of the hopeless crashed-and-sank wing of the Earhart community. Neither Long nor apparently Jourdan consider Paul Briand Jr., Fred Goerner, Vincent V. Loomis, Oliver Knaggs, Thomas E. Devine, Bill Prymak or anyone else who ever painstakingly labored in the service of the truth and at the risk of their personal peace and reputations to bring back solid, eyewitness evidence of the presence and deaths of Amelia and Fred Noonan in the Marshall Islands and Saipan as “primary sources.” The same can be said of any of the scores of witnesses these men interviewed, beginning with Josephine Blanco Akiyama, still alive in San Mateo, Calif.
Jourdan concluded his announcement by writing, “We will take another look at all of our work, and have already made a to-do list. We will return home, take a well deserved rest, then get back to it!” Of course they will; there’s too much money yet to be made from the fat contracts the U.S. Navy happily awards to those willing to get underway in these continuing voyages into insanity.